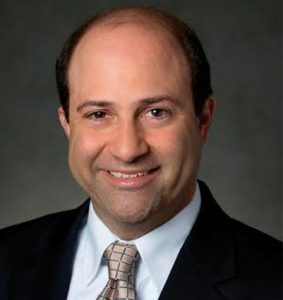 Nicholas A. Shannin - Shannin Law Firm, P.A. Nicholas A. Shannin, Esquire, is a Florida Bar Board Certified appellate attorney. He has been licensed to practice law in Florida since graduating with honors from the University of Florida College of Law in 1994. Nick received his undergraduate degree from Rice University in Houston, Texas, graduating from Rice with a double major in Political Science and Sociology. Before receiving his Texas-sized degree, Nick graduated from Osceola High School in nearby Kissimmee, Florida. He remains a proud Osceola Kowboy (yes, spelled with a “K,” for Kissimmee) to this day. Nick has a passion for the law and for organizations that help people in need. He has been a long-time board member of both the West Orange Habitat for Humanity and the Legal Aid Society of Orange County. He is a past president of the board for both organizations. Nick has also been honored by the Florida Bar Appellate Practice Section as the recipient of its “Pro-Bono Attorney of the Year” award, in large part for his work with the Legal Aid Society. Nick has been reviewed by his peers as “AV-Preeminent,” which is Martindale-Hubbell’s highest ranking for ability and ethics. He has also been recognized by Florida Trend’s Legal Elite and Florida SuperLawyers, each recognizing the top 2% and top 5% of Florida attorneys, respectively, since 2007. Nick received the Orange County Bar’s Lawrence Matthews Young Lawyer Professionalism Award and later served as President of the Orange County Bar Association. Since 2014, Nick has appeared in SuperLawyers’ “The Top 100” list, which recognizes the best one hundred lawyers in the state of Florida. Nick is proud to actively support the work of Habitat for Humanity, and serves as spokesman and past-president of West Orange Habitat for Humanity.